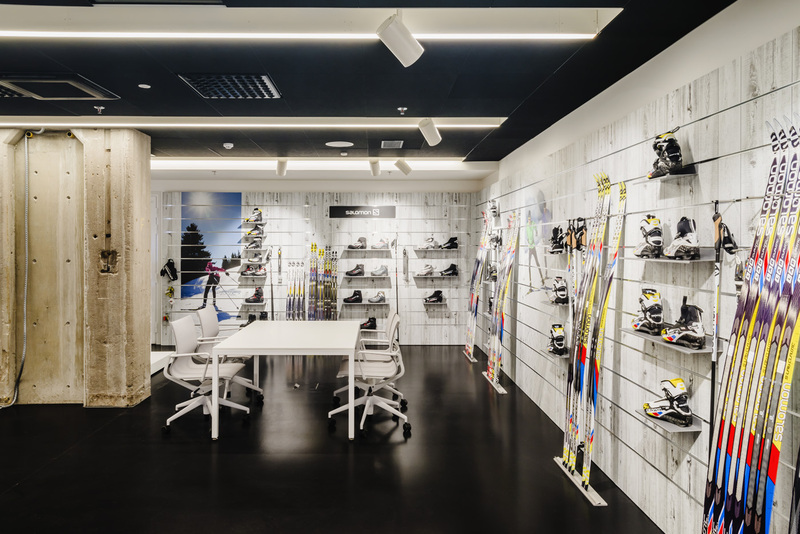 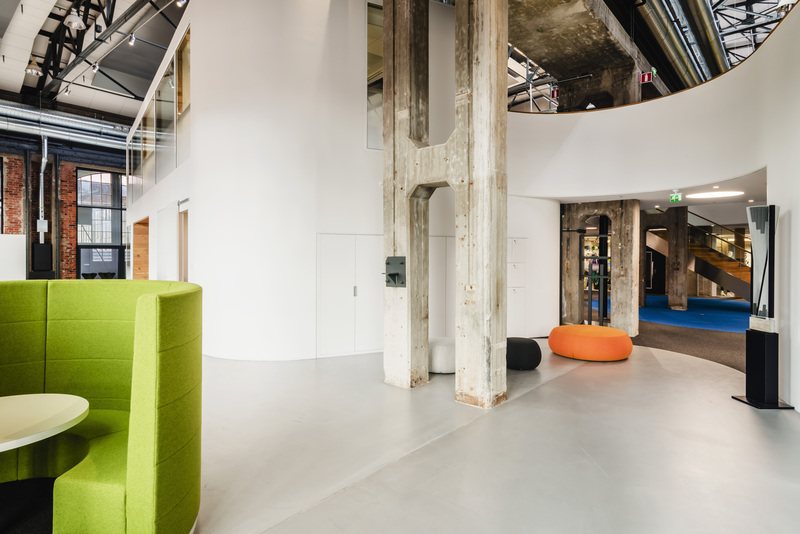 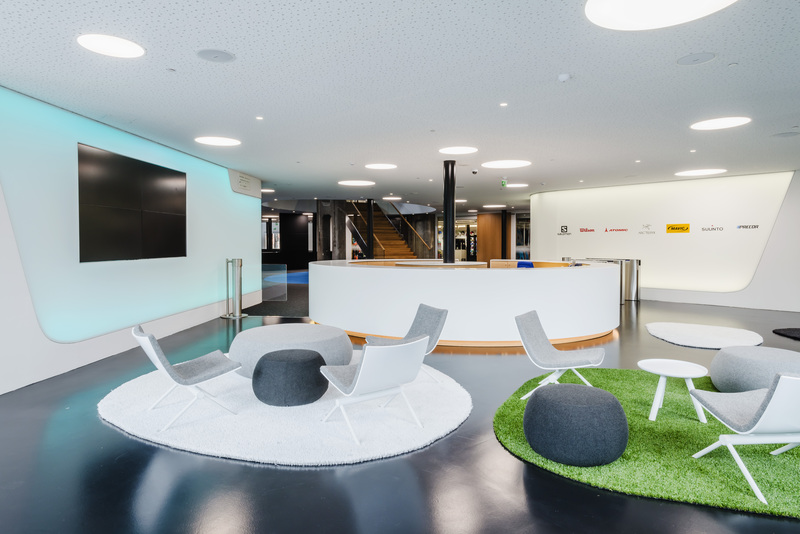 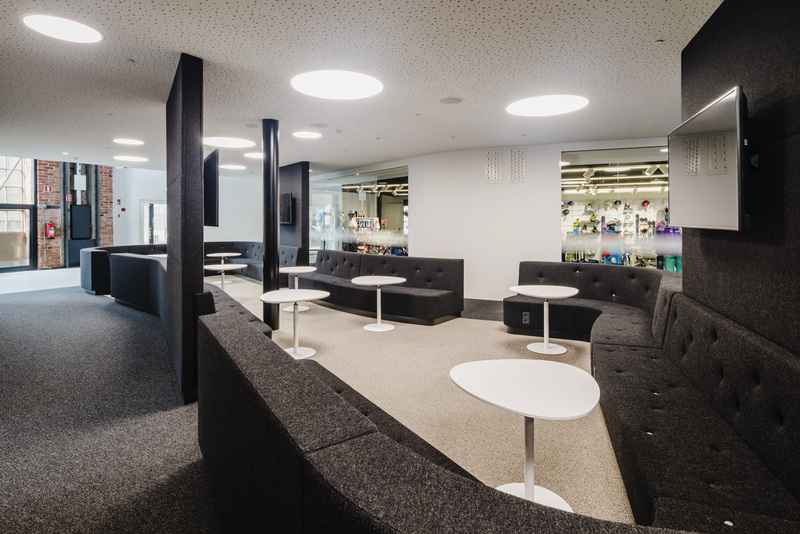 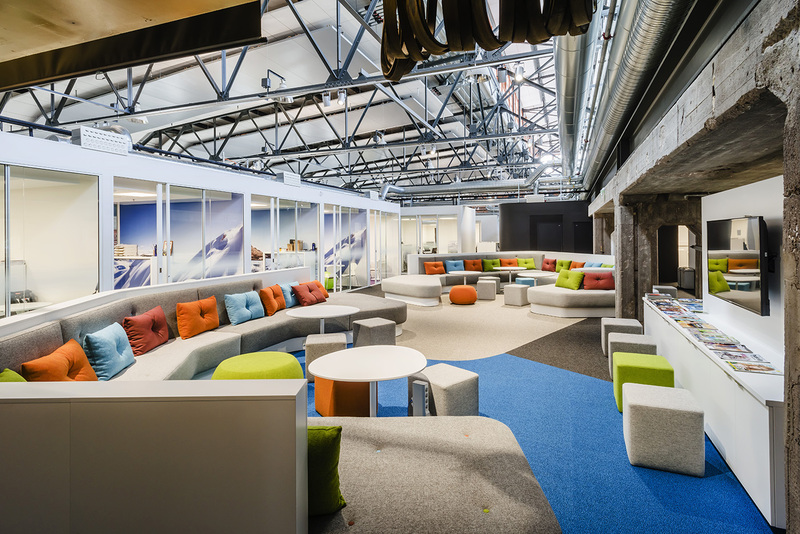 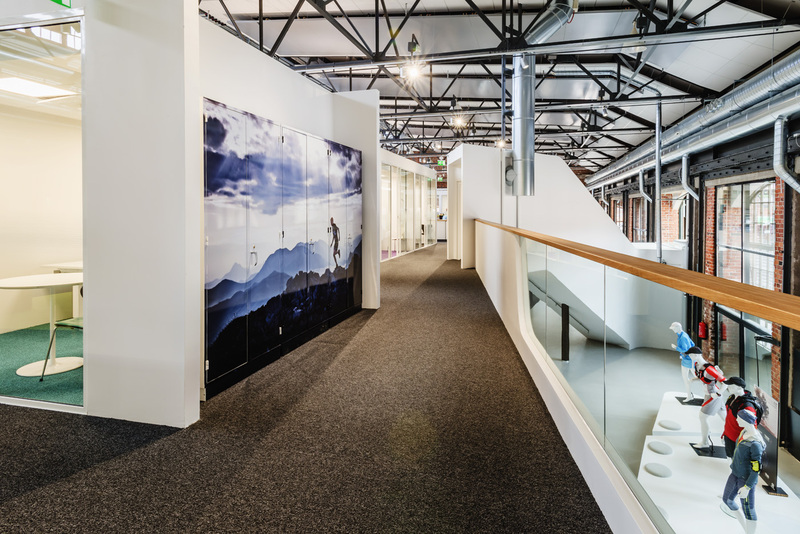 Nestled inside an old railway carriage factory in Helsinki, Finland, the new Amer Sports offices are part of the sporting goods company’s transition to a new work culture. 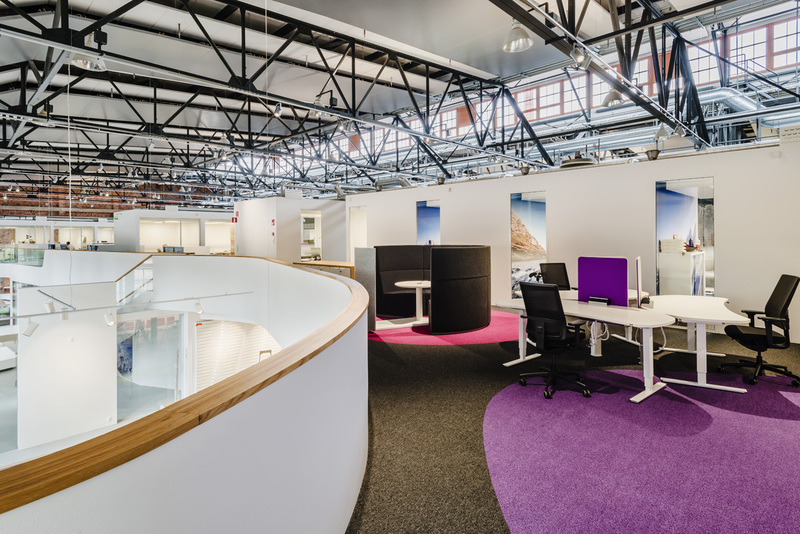 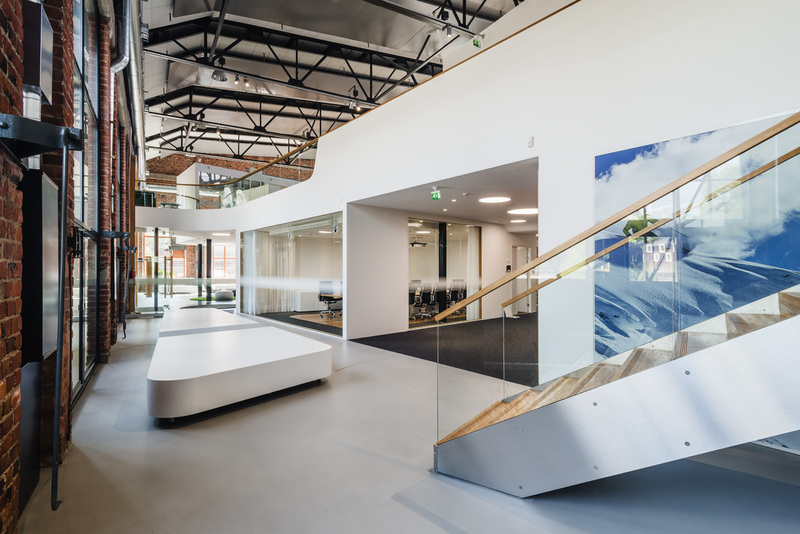 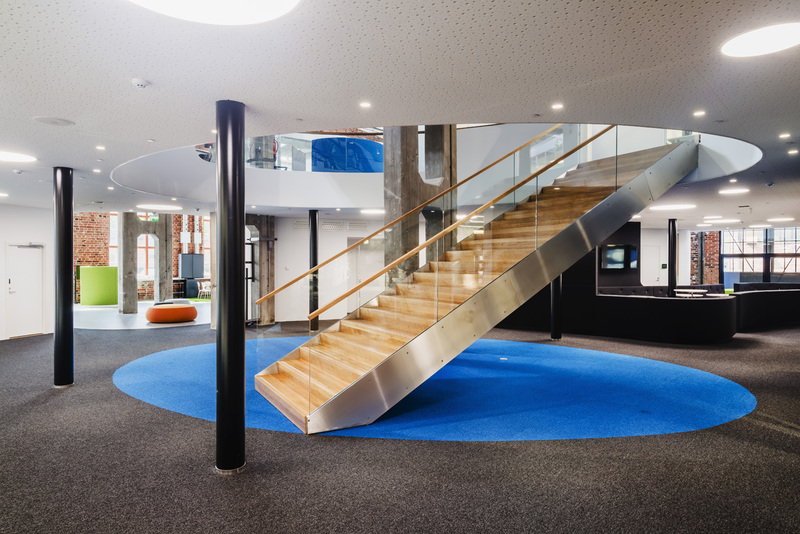 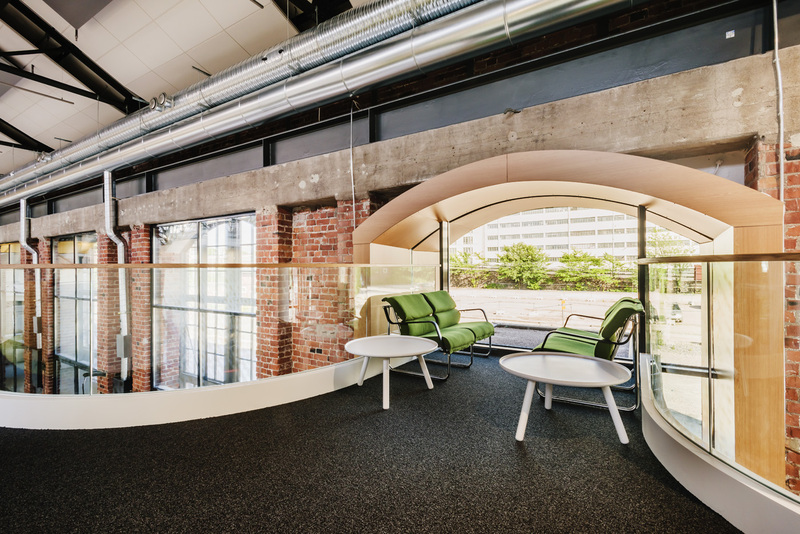 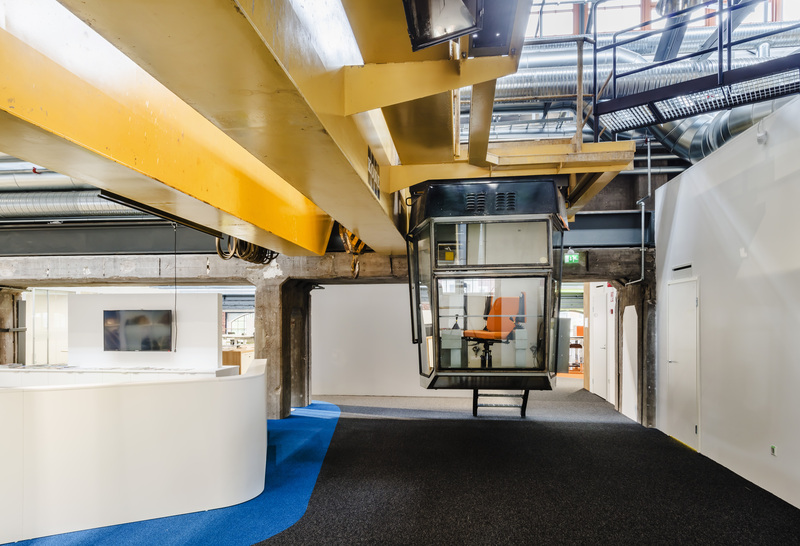 Gullstén-Inkinen Design & Architecture transformed the beloved Helsinki building into a modern office and retail space that is as inspiring as it is functional. 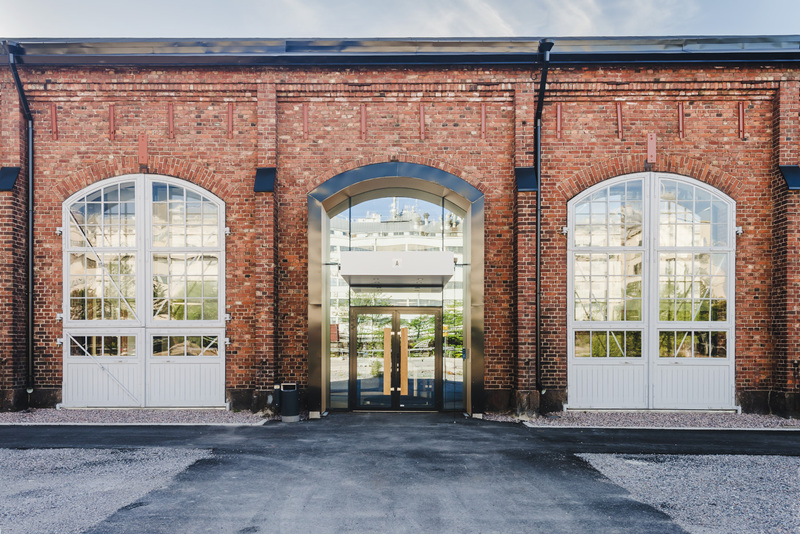 The biggest feat was constructing an entirely new second floor inside the tall single storey building, which has been listed by Finland’s National Board of Antiquities. 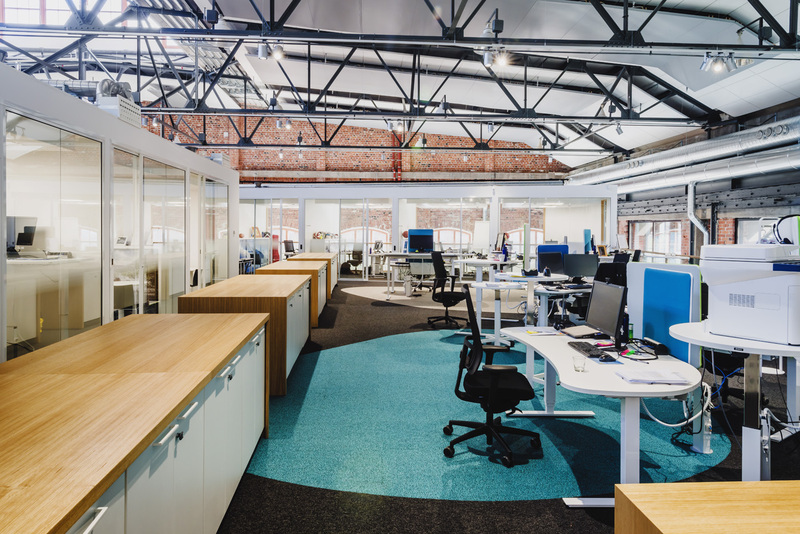 The old brickwork and metal framework, as well as the little dents and marks on various surfaces, were left untouched to preserve the distinct historic character of the building.